This is the kit everyone has been waiting for. This kit is fully endorsed by Adam West himself. 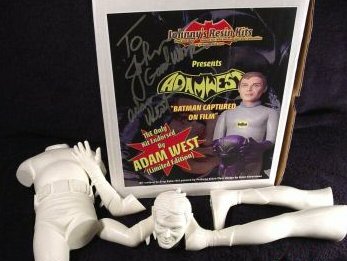 Don't let others fool you when they say "Endorsed by Adam West". This is the one and only kit ever endorsed by my favorite hero. This kit was in production for almost a year. 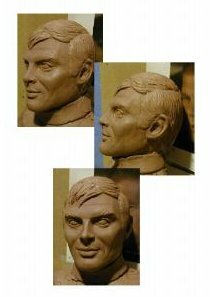 It was sculpted by Mr. Greg Baker in Sarasota, Florida . Greg has sculpted 1/1 scale statues for James Brown, Ted Williams and many others, his worked is reknown throughout the United States. 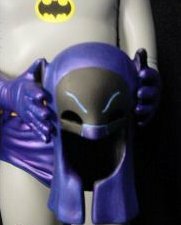 The detail Greg has given to Adam West's face is unreal . When Adam first saw it he could not believe the likeness. This kit will be limited to less than 400 . These have been bought buy collectors from New York to Los Angeles. The kit...when finished it stands a whopping 18.5" tall, a huge statue, 1/4th scale. Comes in 6 easy to assemble pieces. And let's not forget the collectable beautiful box with box art by Steve Silverstone. 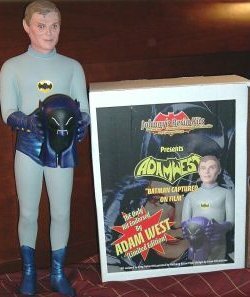 Finally we have a kit of the hero we all know and love, Adam West.